Now one thing that sure sighted Assassin’s Creed fans will notice is that Washington has one of the ancient artifacts that the Assassins and Templars have been fighting over for centuries (you know, the ones that have corrupted both the leader of the Assassins in the first game and then later on the Pope as well). 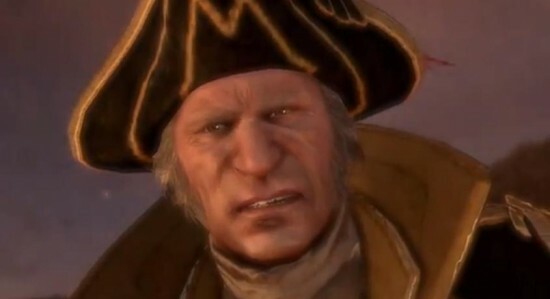 Of course, Ubisoft wasn’t going to just pretend that Washington was a bad seed from the start and needed an out as to why he’d go insane. But none the less, it’ll be interesting to see how Connor and his newfound lupine powers like invisibility and sending phantom wolves at his enemies play against one of the greatest leaders the nation has ever seen. Take a look below at the launch trailer for the first episode of the Tyranny of King Washington DLC, the Infamy. Stick to the Flickcast for more Assassin’s Creed III news as it becomes available.